Trends in photography come and go, and usually I’m not sad to see them go. Trends are the pest. They don’t actually reflect what is going on so much as what is currently being traded most highly in the attention economy. Have some big prints behind plexiglass by German artists, gawk at snapshots run through vintage filters on people’s cell phones, look at all these cool photographs from the past… This is not to say that there isn’t anything worthwhile looking at when something is trendy – there usually is at least something. But trends are the big simplifier, and once they’re gone, they leave behind a tainted wasteland: Something or somebody that was trendy in the recent past cannot possibly be interesting any longer. So trends are essentially unfair. They usually decouple and disregard merit, and they do not treat the people en vogue or not en vogue any longer kindly (as an aside, they’re even more unfair to those who don’t happen to follow the criteria: You’re a German photographer, say, who does not use big colour prints and plexi? Tough luck, pal!). A few years ago, photography from China was all the rage in art photography, opening up an exciting visual world – albeit temporarily. Now, things have changed a bit, and artists from China have mostly disappeared from Western photography magazines or websites again. This leaves Muge (Huang Rong) at a disadvantage, making him one of contemporary photography’s more underrated talents. He got some exposure for his series Going Home. But one would miss quite few in his work to reduce him to Going Home. As a matter of fact, Ash might appear to provide a fairly large contrast. In his statement for the series, Muge writes he hopes that “Ash won’t only lay eyes on the world of representation.” This is, essentially, photography that is not about what is in the pictures – something the medium, or rather its perception, has been struggling with for a long time. Thankfully, the series has now been released in book form. 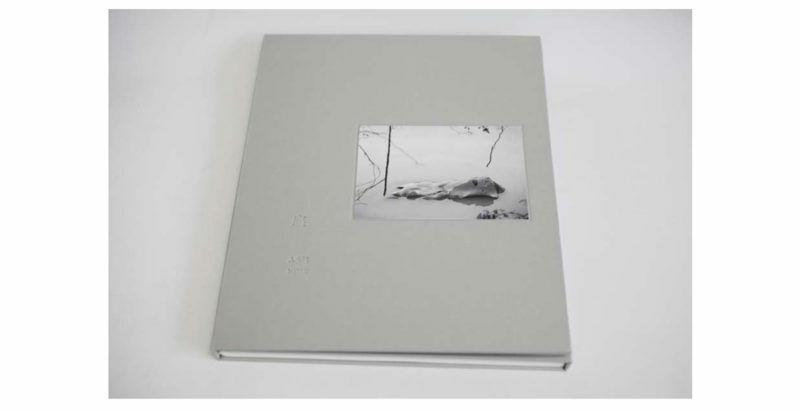 With the exception of a folded sheet of paper, the book consists of loose pages, held together by a hardcover shell – a collection of single images that, nevertheless, are unified by the artist’s vision and by the feelings they evoke in the viewer. The idea of the spiritual is nothing new in photography, and I’ll leave it up to the reader to decide whether or not Ash could be compared to, let’s say, some of Minor White’s work. The history of photography aside, there appear to be quite a few young artists coming out of Asia whose photography centers more on what you cannot see in the pictures. As another example, Daisku Yokota comes to my mind (but please, don’t take that as me thinking of a new trend!). Now that the digital revolution – quite ironically – has brought our thinking so firmly back to what is in the frame, looking elsewhere might be a good way to experience something different, to learn something about what else photography can do. Muge’s Ash certainly provides a good starting point.